The La Jolla Pier Wall with floating headboard for use with the conventional mattresses. It is also available with platform frame and standard waterbed frame. 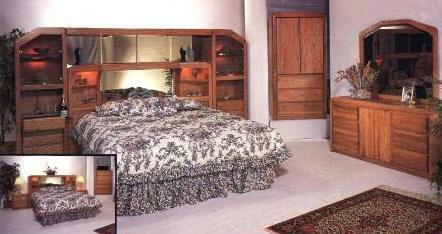 Matching furniture pieces include master dresser, Tri mirror, TV Armoire and night stand. Other furniture pieces available in either white wash or regular oak finish.